Back cover blurb: A young woman is found dead on a remote Icelandic beach. She came looking for safety, but instead she found a watery grave. A hasty police investigation determines her death as suicide . . . 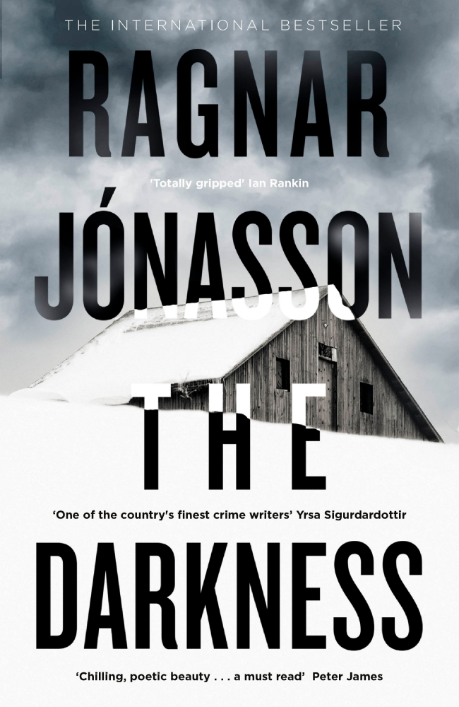 When Detective Inspector Hulda Hermannsdóttir of the Reykjavik police is forced into early retirement, she is told she can investigate one last cold case of her choice - and she knows which one. What she discovers is far darker than suicide . . . And no one is telling Hulda the whole story. When her own colleagues try to put the brakes on her investigation, Hulda has just days to discover the truth. A truth she will risk her own life to find. The Darkness is the first novel in a new trilogy series by Ragnar Jónasson. Unusually the first novel in the trilogy is also the last, meaning the next two in the series are set decades earlier. I look forward to reading more about the lead detective! Detective Inspector Hulda Hermannsdóttir is close to retirement when she is asked (or maybe that should be volunteers) to look at a cold case. The murder of Elena, a young Russian woman washed up on the Icelandic shore was investigated but quickly the case quickly closed as suicide. As Hulda digs into the case it becomes apparent that she had just been granted asylum, and any motive for suicide seemingly disappears. She also learns that another young woman, a friend of Elena’s, disappeared just before Elena’s death. Hulda, convinced that Elena was murdered, also fears for the life of her friend. But the more she learns, the more she realises that someone does not what her to get the answers she so desperately needs. No matter, Hulda is determined to find out what happened to Elena, even if it costs her the remains of her career, or even her life! 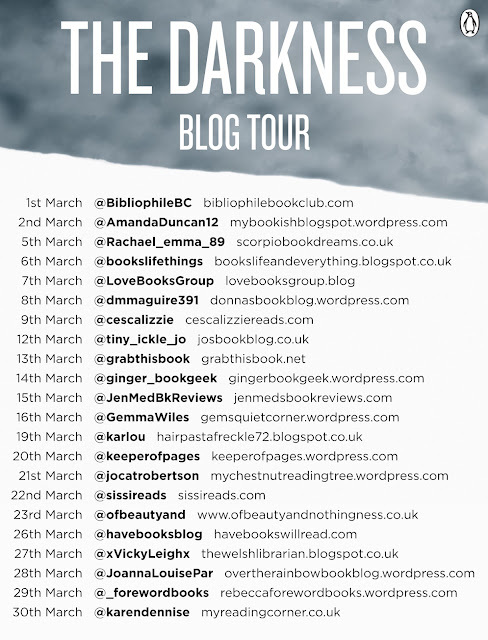 The Darkness is a quick and thrilling read, and I look forward to reading the rest of the trilogy. 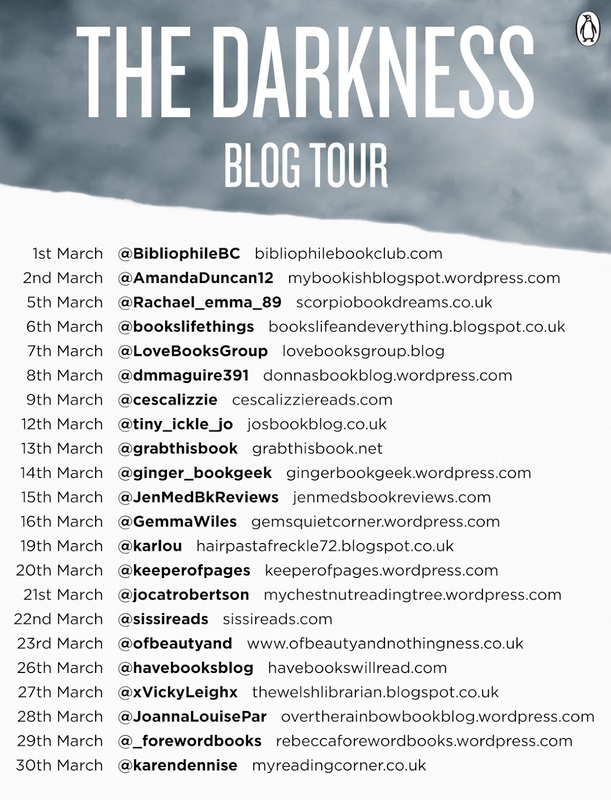 The Darkness is available via now Amazon online and all good book shops. Thank You to the publishers who sent me an advanced copy of the novel in exchange for an honest review.